We take pride in ourselves in offering a wide range of Basmati Rice to our clients. This rice is meant for its aroma and sweet taste, the post cooking elongation of more than twice its original length, the aroma and its sweet taste has made Basmati rice a delicacy. Our range of Basmati Rice comprises of Traditional Basmati Rice, Basmati Rice, Long Basmati Rice and Long Grain Rice. We export our products at cost efficient prices. Basmati rice is a variety of long grain rice, famous for its fragrance and delicate flavour. Its name means "Queen of Fragrance" in Hindi. 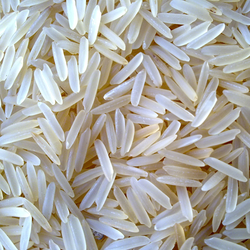 Basmati rice has been cultivated in the Indian subcontinent for hundreds of years. Due to its low trans fat and high carbohydrate content, the offered range is highly appreciated among our customers. In addition to this, it is known for its longer shelf life. 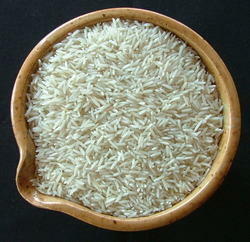 Indian Basmati Rice offered by us is known for its quality, taste and fragrance. 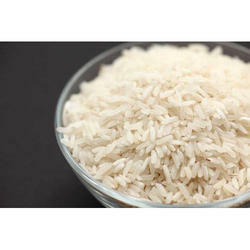 We are the leading exporter of Indian Basmati Rice Exporters from India. Our processed range of Indian Basmati Rice is appreciated for its robust aroma. We have occupied a top position among the leading Rice Exporters in India. With enriched industrial experience and knowledge, we are providing an excellent range of Diabetic Rice.